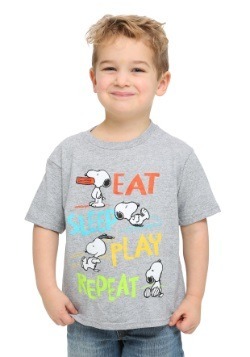 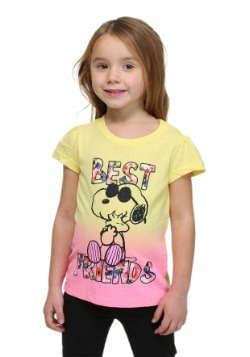 Get your little one wise to Snoopy's dancing ways with this fun t-shirt! 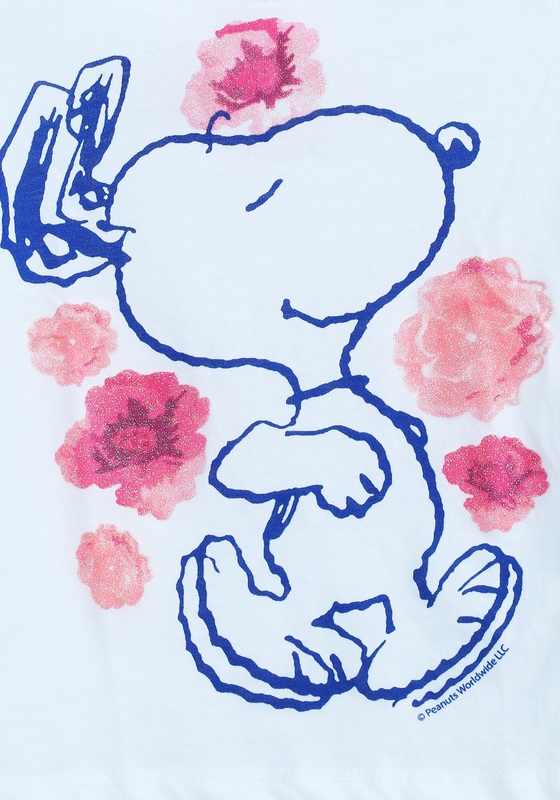 Featuring print art showing Snoopy dancing in the flowers, it will be a great way to get any toddler started with some Peanuts fun. 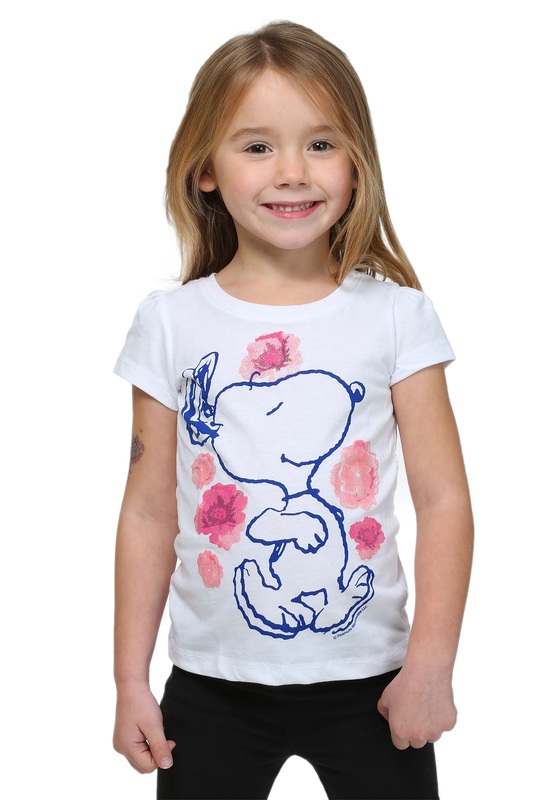 Give her a cute everyday look with this comfy cotton/poly blend t-shirt!